Just recently Debbie, a Thursday night knit workshop knitter and a regular Skein Lane retreater, shared her most recent excitement. She just purchased a home on the coast that she really…really wanted. The first thing to share here is that the clincher that closed the deal. Debbie is the kind of person who is quite financially sound and has chosen not to have credit cards. This actually created a challenge for her lenders to the close the deal…they were looking for info about her payment patterns. She called me in a panic and requested a letter saying that she had been a customer of Skein Lane for a number of years, paid her bills on time, and had no outstanding balances. (All of which is true!) Can you believe that the letter from her knitting enabler was the decisive factor in granting her the property loan? Go Debbie! More about Debbie….she is an avid crafter. She knits, beads, spins, dyes…that is just a bit that I know. 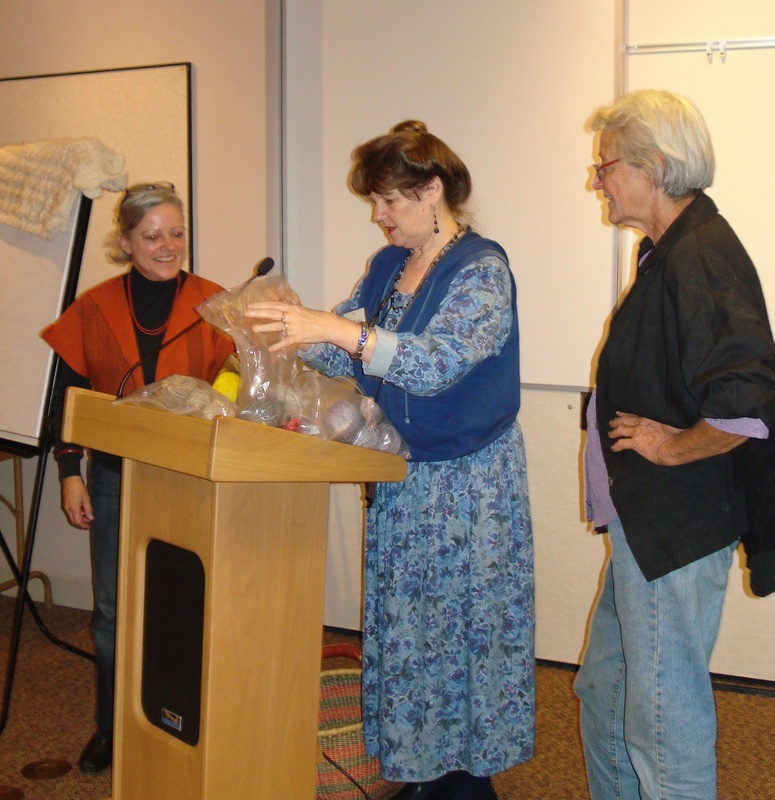 Her excitement about fiber arts is so inspiring….I still am enjoying her glee when she was sharing her fiber arts experiences at our recent retreat. I am in awe of how much Debbie accomplishes…not only does she craft at the handcraft (not homemade) level, she “runs” a school and finds time to spend with her husband. Debbie so warms my heart! And now thank you to Debbie. Major congrats, Debbie, but Carolyn, you left out the most important part – where is her new home and what is it like?